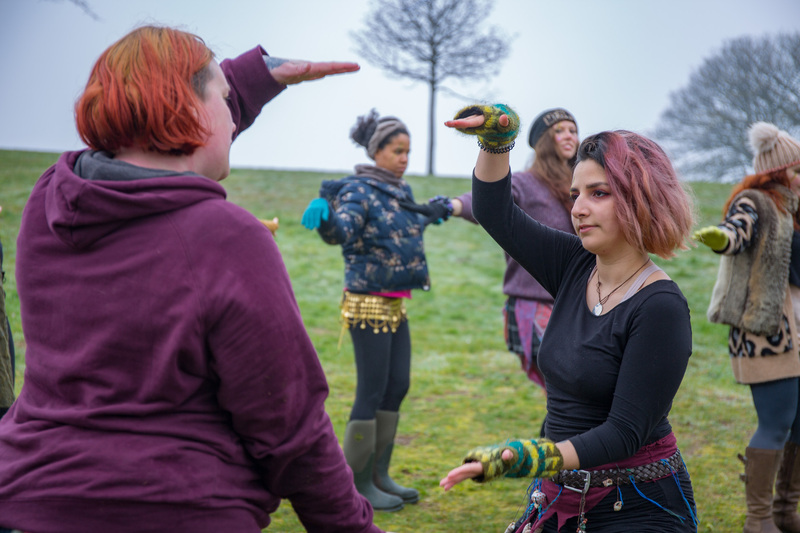 With just over a month to go until Beltane returns to light up Calton Hill, our groups have been braving the wind and the cold to start their preparations for our 30th celebration. And, more importantly, our excellent Photopoint volunteers have been out too, recording their antics. 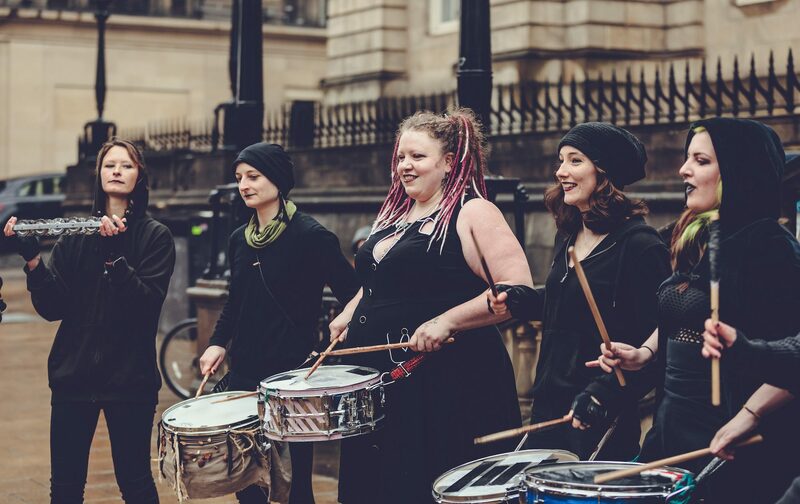 Members of The Aerie were involved in their first bonding ritual; a joyful, peaceful moment when everyone danced around a drum, and tossed a handful of coloured powder into the air. They did it to get ‘reborn’ into their bird-selves, full of colour and energy, starting slowly, then building up to a crescendo, when the air became a cloud of battling hues. Afterwards, they all come together to share a moment of unity together through a songbath. For the rest of the Aerie photos, please see this Facebook Album. As part of their rehearsals, the Whites practiced flocking (moving as a unit being led by the person at the front). They also practiced keeping their focus as “there are a lot of things on the night that can distract us from our duty, including the Chaotic Reds”. For the rest of the Whites rehearsal photos, please see this Facebook Album. 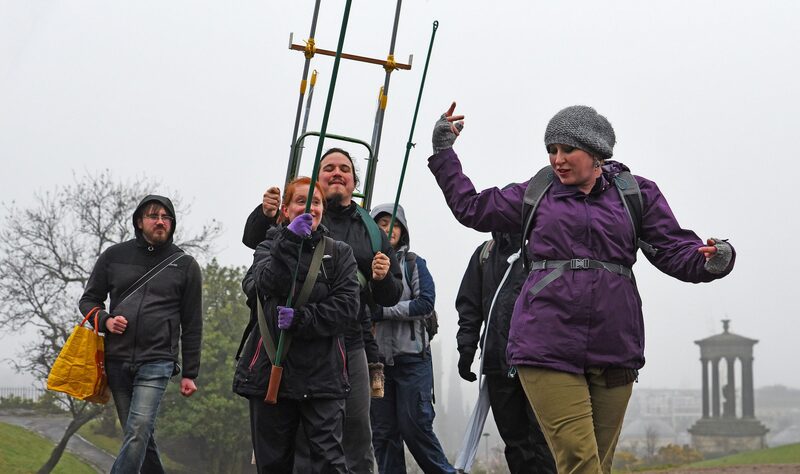 And finally all of the groups headed up onto The Hill for the first go at blocking the route, a crucial step in deciding who goes where on the night itself. It provided a chance for many groups to meet each other for the first time and to find their place in the 30th Beltane celebrations. For the rest of the Walk Through photos, please see this Facebook album. 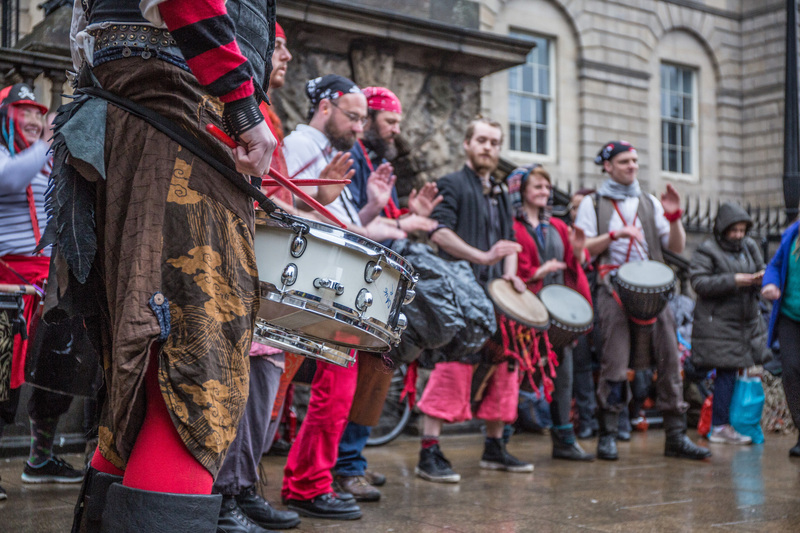 Beltane Fire Festival will take place on Calton Hill on the night of the 30 April. Last year sold out so don’t leave it too late to buy tickets. They’re available now from Tickets Scotland.